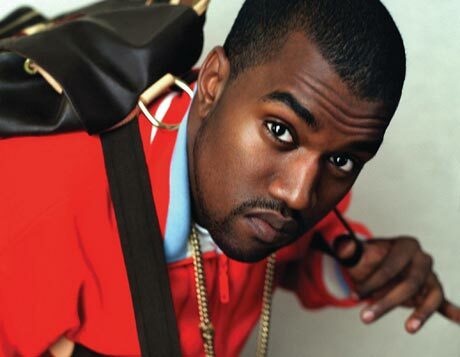 Old Favourites: Kanye West – “All Falls Down” | Yes, We've Got a Video! Last week marked ten years since Kanye West released his debut album, The College Dropout. It’s an album that remains one of my all-time favourite records, one that I continually revisit and sporadically obsess over. Although it wasn’t my first Kanye album – that honour went to the following year’s Late Registration – this record remains my pick of the litter. With this milestone – as well as the exciting news that Yeezy will be back here in May – I thought I’d look at one of my favourite Kanye videos from this era. Yes, the imagery of Jesus Walks and the blunt-hammer satire of The New Workout Plan are fantastic in their own right. I could have easily written about either of them – but there’s something about the video for All Falls Down that I have always been drawn to. The point-of-view camera work is exceptional, as is the audio tweaking depending on where exactly Kanye finds himself. Even though they don’t really speak in the video, the relationship seems to explain itself between Kanye and the woman he’s dropping at the airport. On top of that, Kanye putting himself through the airport scanner remains one of my favourite moments in 2000s music videos. It’s a very clever and very striking video, one that hits the emotional nerves of the song. It’s a perfect complement – and a relatively simple clip that contrasts with the grandeur that comes with Yeezy these days. Not that I have a problem with that, of course. It’s just that sometimes I like to kick it old school. Maybe you will, too.